A forage bahiagrass similar to Tifton 9, TifQuik “greens up” earlier in the spring than Tifton 9 or Pensacola, providing early grazing and increased hay production. TifQuik has fewer dormant seeds than other bahiagrasses, so it germinates faster, within seven days of planting. This trait gives TifQuik quicker field establishment, thus reducing weed problems. TifQuick seed has been shown to germinate in soil temperatures as low as 55 degrees. 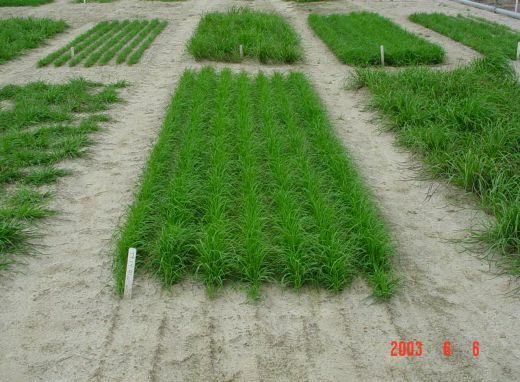 TifQuik bahiagrass was developed by Dr. Wayne Hanna in conjunction with the U.S. Department of Agriculture Agricultural Research Service (Drs. Bill Anderson and Roger Gates) at the University of Georgia Agricultural Coastal Plain Experiment Station in Tifton, Ga. Released in 2006, TifQuik is a bahiagrass variety that is protected under the Plant Variety Protection Act, which means it can only be sold as a class of certified seed and only by individuals licensed by Georgia's Integrated Cultivar Release System under guidelines established in conjunction with the University of Georgia Research Foundation (UGARF). In his turfgrass breeding program at the University of Georgia, Dr. Wayne W. Hanna focuses on developing seed- and pollen-sterile, low-maintenance cultivars with drought and pest tolerance. He has developed popular forage cultivars such as Tifleaf 2 and Tifleaf 3 pearl millet, Grazer annual rye grass, TifQuik bahia grass, and Mott dwarf elephant grass. 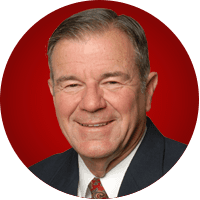 He has also developed commercial turfgrass cultivars including Tifton 10, TifSport, TifEagle and TifGrand Bermuda grasses and TifBlair centipedegrass. More recently he has released purplish/red ornamental Pennisetum hybrids (Prince, Princess, Princess Caroline, Princess Molly, Vertigo, First Knight, Tift 11, Tift 15, Tift 26, Tift 40 and Tift 118) and an ornamental perennial peanut, Cowboy. Dr. Hanna’s research currently focuses on producing seed- and pollen-sterile ornamental grass cultivars (Miscanthus spp., Lovegrass, Rubygrass, Little Blue Stem, Pennisetum alopecuroides, P. hohenackeri, and P. orientale) and on coneless/pollenless pine trees (loblolly and slash) as well as seedless cultivars of cold-tolerant citrus (tangerine, lemon and grapefruit), a variegated Chinaberry tree, and pomegranate. Dr. Hanna was an Assistant Professor at the University of Florida (Gainesville) from 1970 to 1971. He joined the USDA Agricultural Research Service at Tifton, Ga., in 1971, where he worked cooperatively with the University of Georgia until 2003. Since then, he has been a part-time Professor with the University of Georgia. He received his B.S. degree in Agricultural Education, M.S. degree in Plant Breeding and Ph.D. degree in Genetics, all at Texas A&M University.